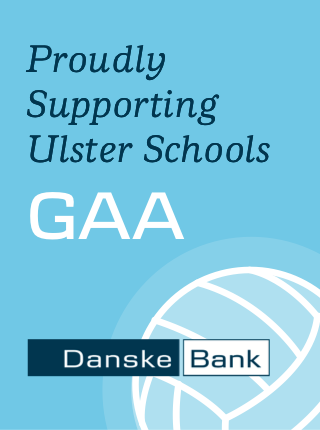 Abbey Vocational School, Donegal Town, are into the Danske Bank Markey Cup Final. They beat St. Ciaran's Ballygawley by 0-13 to 1-8 in their semi-final when they held off a spirited comeback from St Ciaran’s Ballgawley on the 4G pitch at the Bawnacre in Irvinestown yesterday afternoon. The Donegal lads led by five points at one stage early in the second half but a well taken Ethan Neill goal at the end of the third quarter helped reduced the deficit to the minimum. The Tyrone school though couldn’t find an equaliser as Abbey just about did enough to get over the finishing line. Abbey: E O’Hagan, S Meehan, B Fagan, A McHugh, R Brogan, M Coughlan, R O’Rourke (0-1), J Crawford (0-3, 2F), O Reid, C Feeney, M Statham (0-1), D Gallagher, S Travers (0-2), C Hegarty (0-5, 3F), S Kennedy (0-1). St Ciaran’s: S McMenamin, J Heatherington, B Quinn, M Quinn, F McElroy, C Quinn, P Kane (0-1), O Treacy, J Oguz (0-1), C McAleer, M Monaghan (0-1), E Neill (1-1), C Bogue (0-1), O Robinson (0-1), P Traynor.